Leatherhead Choi Kwang Do in Surrey was officially opened on the 3rd July 2007. Choi Kwang Do translated simply means “The art (or method) of Kwang Choi”. Created by Grandmaster Kwang Jo Choi; this martial art delivers confidence, fitness and self defence for adults and children of ALL ages. With Leatherhead CKD as well as learning all-important practical street self defence, our students also learn valuable life skills; skills that are applied both in and out of the Dojang. At the heart of our martial art you'll find that personal characteristics such as respect, good manners, courage and self-confidence coupled self control are completely entwined with the ultimate combat system for self defence. When the school first opened, we held classes on Tuesdays and Thursday for Adults, and Saturday and Sundays for children (all ages) at St Peters’ School in Leatherhead. We outgrew the school hall there within 6 months, and started our search for larger premises. We were fortunate to find that St Andrews had the vacancies that we wanted; we switched the Tuesday class to Mondays and even took on an extra class on a Friday for adults. Since we moved into St Andrews School, the school has gone from strength to strength. We split the Children’s classes into 2 separate classes; under 7s and under 11s. We have a fantastic community within the school, amongst a very varied age group, both male and female. 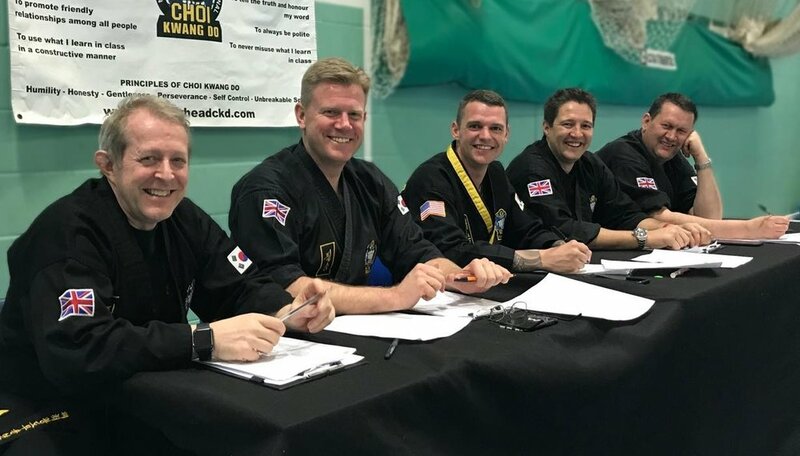 Everybody is equal at Leatherhead CKD, and the Instructors/Students have created a fantastic feel good atmosphere, which makes it easy for anybody new walking in for their first class! We have an excellent retention rate, and have had the honour of awarding over 30 Black Belts since opening in 2007. Thank you for visiting the Leatherhead Choi Kwang Do website!